Memories Are Good For You! I love the picture on the right. It reminds me of a holiday we had as a family, with both my ‘big kids’, a few years ago on the coast of Scotland. 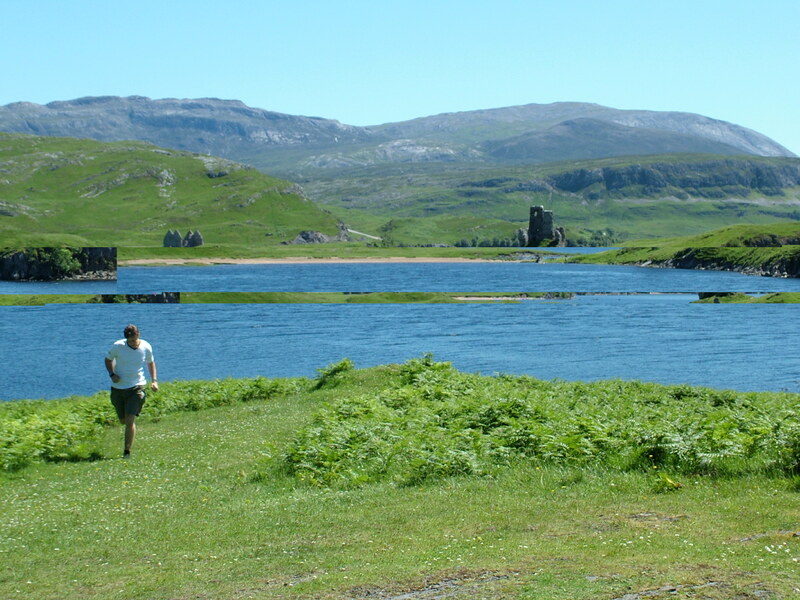 Pictured is my son running back from the loch side. It makes me smile because, apart from having had a great holiday, soon after this picture was taken I found a bit of old driftwood which I insisted we take home with us as I was sure it would fit perfectly above my kitchen window. But it did fit, and it’s been above my window ever since and I love it. Science tells us that looking at things which made us happy rekindles the original emotions. I don’t know about the science but I do know that a quick peek into the happy memory box makes me feel better! What’s in your memory box? Time to take a quick rummage?